Professor Jane Plant beat her breast cancer. It had spread and there were a number of lumps around he body. She was told to make her will. But after orthodox medicine failed her, she did her own research and ’discovered’ the importance of diet as a corrective factor. In particular she gave up cows’ dairy. And this worked almost immediately for her. Below is her story, taken from her book ’Your Life in your hands’ which can be bought by clicking here. It is important to say up front that while giving up cows’ dairy worked for Jane in her situation with breast cancer, at CANCERactive we do not believe in a ’one size fits all’ approach. It might not be relevant at all to other people with cancer. Giving up mass market, supermarket cows’ dairy and beef means consuming less fat, less pesticides and less growth hormone. This may be particularly relevant to oestrogen or hormone driven cancers. But some beef - that reared outdoors and grass fed, and also unpasteurised cows’ dairy may have benefits in the content of Conjugated Linoleic Acid and probiotics (beneficial bacteria). 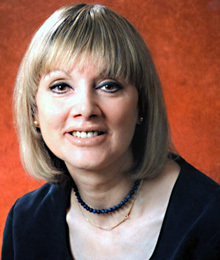 Professor Jane Plant CBE, is one of Britain’s most distinguished scientists. Chief Scientist of the British Geological Survey and a member of many influential government committees, her CBE was for services to science. Let us be clear to avoid any misunderstanding. She is NOT a Professor of Medicine, cancer, Biology etc but Geology. Jane wrote ’Your Life in Your Hands’ as a result of many hundreds of conversations she has had with women who wanted answers. As Jane says, "Breast Cancer is a puzzling and frightening subject". She knows more than most, having suffered five times from progressively more advanced breast cancer, which eventually spread to her lymph system before it was finally defeated.Her book, however, is anything but frightening. It is simple to understand, in plain straightforward English. It is written from the heart. It explains how she never gave up and how she beat cancer. She shares all she discovered so others can benefit. And, for anyone not suffering with breast cancer, she tells how positive steps can be taken to change diet and lifestyle to try and overcome the odds and not become one of the ever increasing ’statistics’. Just like Jane, at the start of her story, I am thousands of miles away from my husband, family and friends - working in a male dominated environment, pretending for a few days that my role as mother and wife doesn’t exist. Instead, the career woman within dominates. Jane was just 42 when, alone in her hotel bedroom after a gruelling day examining gold deposits ahead of a major scientific conference in Toronto, she took a shower, dried herself and went in search of of her underwear. As she walked around the room she suddenly saw, in the low-angle, late afternoon sunlight, a lump about the size of a large pea, just under the skin of her left breast. She felt it and was immediately overwhelmed with fear and panic; her mouth went dry and she felt sick. She knew, without doubt, she had breast cancer... "In one heart-stopping moment everything came crashing to very full stop". But Jane knew she had to fall back on what she trusted most: her scientific training. And that, she believes is what saved her life. As a nearly 47 year old (my birthday was just two days away) I realise that I am on the ’at risk’ side of life, as documented in Chapter Four of her book "Breast Cancer - the rich woman’s disease". Yes, it could be me! But what if, like Jane, that fear suddenly becomes a reality? What would we do? I think I would go to pieces. See a doctor, any doctor, and let him take control - after all he’s qualified, he’s the expert - he will do whatever is right. Or will he? The typical route through cancer treatment is a mixture of surgery, radiotherapy and chemotherapy, and Jane highlights that, "it is vitally important to retain control and develop a constructive working partnership with your doctor". But, like most groups of professionals, doctors range in their ability from excellent to poor. Rather than being in awe of them as many patients are, Jane had a questioning approach towards medical cistom and convention. Whilst it is only natural to be afraid and anxious, Jane advises that you should always try to show your doctors that you will work with them to recover, but that you wish to be fully involved in all decisions. Jane believes that unjustified doubts and panic on one occassion probably cost the loss of one breast. Although Jane admits that she was often afraid, even terrified on occassions, she had great courage and strength. The night she spoke to her family doctor on the phone (in the dead of night UK time) and together they decided she would spend the next week being a professional scientist chairing sessions or giving lectures in front of an audience of 800 people, whilst also attending a specialist breast clinic for examinations and biopsies. At the end of the week she was given confirmation of the already self-diagnosed cancer. Only when her commitments in Canada were met, did she return to the UK. She went to her first appointment with the leading London Teaching Clinic at Charing Cross. The waiting room was full of women like me, like you - well groomed, different ages, different shapes and sizes. There were two black women, one of Indian appearance, one Middle Eastern, but no oriental women! Six months ago, exhausted by a full time career, suffering for the first time with that mid-forties mid-life crisis, I realised I must do something to change my life plan. A bad back, a persistant cough, and a general feeling of being ’under the weather’ made me stop and take stock. My osteopath suggested ’Applied Kinesiology’ (a test of muscle strength evaluated by pushing against the arm of a practitioner to determine ’food allergies’ or substances which may weaken the body). Although in her book Jane considers this to be ’mumbo jumbo’, it certainly changed my life. My practitioner told me to give up dairy products. As a strict vegetarian already (just because I ’went off’ meat some years ago) the recommendation was quite scary news to me! Jane stopped all dairy consumption and within 6 weeks her tumour had disappeared. I couldn’t imagine living without cheese, creamy sauces and low-fat yoghourts. But six weeks later, back better and cough almost gone, having lost weight, my energy levels never higher - what could I say? Similarly, Jane’s book advocates dairy as a complete ’No-Go Area’ and she explains why: Cow’s milk is a perfect food for a rapidly growing calf - but that doesn’t mean that its good for human babies - or adults! There is no scientific requirement to consume milk after weaning - in fact we are the only species that intentionally does so! In Jane’s book, the comparison between the composition of typical cows and human milk shows the levels of protein, phosphorous, potassium, sodium, copper, riboflavin, niacin, calcium, iron and zinc are much higher in cow’s milk versus human milk. Worse, milk and the meat of dairy animals contain significant amounts of a growth factor called insulin-like growth factor-1, or IGF-1, and hormones such as prolactin. Levels of IGF-1 have increased - probably due to selective stock breeding and the adoption of high-yielding species for for dairying. A genetically engineered hormone rBGH, or BST increases milk yield and is associated with increased IGF-1 levels. Both IGF-1 and prolactin are known to promote growth in breast and prostate cancer cells in laboratory cultures, and, if they enter the bloodstream, the same is likely in humans, especially as the breast tissue has receptors for both. Research on humans shows that pre-menopausal women with high levels of circulating IGF-1 have a higher risk of breast cancer, and men with high levels are at greater risk of suffering from prostate cancer than those with lower levels. Yet we were all brought up to believe we should drink a pint of milk, every day. Modern methods of processing milk may further protect the cancer-promoting chemicals from breaking down in the gut, so that significant quantities of are absorbed into the bloodstream. It has been suggested by some scientists that the direct effect of these chemicals on the digestive tract can cause colon cancer. There is no doubt in my mind that Jane has found compelling evidence of a connection between dairy consumption and breast and prostate cancer. Perhaps the best living proof of a dairy free diet is Jane’s experience of the final large cancer in her neck, that was thought to be incurable. Jane stopped all dairy consumption and within 6 weeks it had shrivelled, disappeared and has not returned. Her previously brittle nails are now long and strong, her skin is in excellent condition and she has no signs of osteoporosis. She feels fitter and healthier than ever before. Her hair is in excellent condition, with very few grey hairs, and most people think she is much younger than her 57 years. So that’s it then?’ I hear you say, ’all you have to do is give up dairy and I can enjoy a life free of breast cancer’. No, sorry folks, nothing is that simple! Cancer is a very individual disease and there are different types of cancer - some of which are not hormonally responsive, but Jane’s persistence is a lesson to us all. Furthermore, giving up dairy was not the only action Jane took. Increase the proportion of foods containing substances that are protective against cancer, such as soya, tofu, fruit and vegetables (especially cruciferous vegetables like broccoli, cauliflower, brussel sprouts) and those from the allium family (onions, garlic, chives and leeks). Give emphasis to food that is organically grown and as fresh as possible. Eliminate, or reduce to a minimum, food which has been refined, tinned, preserved or overcooked so that its content of fibre, vitamins, minerals, natural colours or other natural constituents have been removed or reduced. Provide the nutrients to help your body withstand and recover from surgery, radiotherapy and chemotherapy. Provide maximum choice and variety so healthy eating can be maintained. Provide a varied diet without undue reliance on any other componant. Jane’s book discusses best ’life practices’, best diet and best ways to perpare for both traditional medical treatments as well as giving you the pros and cons of alternative medicines, therapies and remedies. She shares with you her simple and straightforward programme (The Plant Programme) for adopting a healthier diet and lifestyle. There are helpful hints and tips (e.g. always take a friend with a notepad and pen when you see a practitioner or or doctor) easy to follow menus and, above all, practical, easy to read and understand, scientific evidence ad analysis about breast cancer. The strongest evidence on the cause of breast cancer and prostate cancer, suggests it is directly linked to dairy consumption. Young women, taking the contraceptive pill (which is of course a hormone supplement) have an appreciably higher risk of cancer. It is YOUR life and YOU need to take control of it. Read this book and learn how. Whether you want to prevent breast cancer or want to know the best way to fight and overcome it, or if you have a man in your life (and we know they are not usually the best at taking care of themselves) and you want to help him to protect himself from prostate cancer (there are lots of similarities between breast and prostate cancers). If you are a man then you might want to read it too, not only because of the increasing cases of prostate cancer but to be able to help the women in your life (wife, mother, daughter or friend) to prevent or to cured of breast cancer. It is an excellent book and I thoroughly recommend it. Janes final paragraph really made me stop and think. She says that she is now kinder to herself and to other people. She ensures however hurried she is, no matter how simple her meals, they are always based on sound nutritional values. She makes time for her family and friends - she tries to be as non-materialistic as possible. "increasingly concerned with the environment and the sustainability of the surface of the beautiful blue planet called Earth as a place to live. Breast cancer changed me; from being insecure and easily persuaded by authority to a stronger woman who is her own person. It made me stop. And smell the (wild) roses..."
In a similar vein, Chris Woollams’ book "The Rainbow Diet" adds more to Jane’s book. Click here to order a copy.